If you are looking for the chandeliers or a bargain on the best ceiling fans, there's no better place than Del Mar Designs online store. Delmar Designs Company was incorporated in 2003 and it quickly grew to become one of the top lighting & fan companies in the United States. In Latin, Del Mar Designs means "Designs of the Sea" and our company has been offering a sea of low priced ceiling fans, discount ceiling fan light fixtures, value lighting, and much more. One of the first things you notice when you come to delmarfans.com is surely the great fan lighting deals. Do you like discounted Casablanca fans? How about a classic inexpensive Midway Eco ceiling fan? 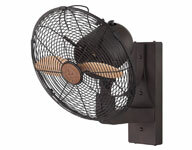 At Del Mar fans online store, you can get new Hunter fans, value Casablanca ceiling fans, cheap Delmar lighting fixtures, ceiling lights, budget ceiling fans with remote, reduced ceiling fans with lights, quality wall lamps, air purifiers, humidifiers, and inexpensive fans and lighting. At Del Mar Lighting online, you will always find a good Casablanca fan discount, bargains on fans that cool, low price lighting and desk fans. 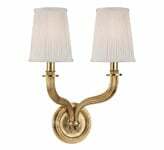 For people who want to buy a ceiling fan light fixture, cheap ceiling fan fixture, remanufactured light fixture fan, they will always find great prices on the best ceiling fans here. Go to us to buy ceiling fans and you will definitely be impressed by the discount ceiling fans prices. Del Mar Designs Lighting and Ceiling Fans offer the best ceiling fan price anywhere on the Internet. Take a look at our featured ceiling fan and lighting brands. 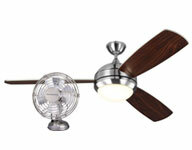 You can compare ceiling fan brands such as discount Casablanca fans, the cheapest Delmarfans, value Del Mar lighting as well as other established brand names like Minka Lavery, Kichler Lighting, Fanimation, Craftmade, LBL Lighting, Minka Aire, Monte Carlo, Modern Fan Company, Hinkley, and Tommy Bahama. 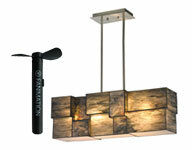 No matter what type of fixture design you are looking for Kichler Lighting has bargain fans and lights along with low price ceiling fan fixtures. We are supremely confident that you will find the perfect item among our wide collection of more than 3,000 fans and 20,000 lighting fixtures. 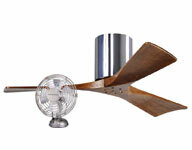 We have everything from 19th Century ceiling fan designs to modern discounted Delmar ceiling fans to value ceiling fans Casablanca to satisfy every fancy. Is there anything more elegant than a beautiful, sparkling chandelier hung in just the right spot in your home? We think not. Installing a chandelier in your home is a great way to add light and charm. The chandelier that you've selected should not only fit the room size, but also enhance the look and feel of the space. Whether you opted for a classic crystal chandelier or a modern metal chandelier, make sure it complements your home décor seamlessly. Installing a new ceiling fan is a thrifty way to reduce your energy bills without sacrificing comfort. A fan installation is a perfect weekend project for any avid do-it-yourselfer because it only requires a few hours to complete, and the payoff is immediate. You don't have to be a home improvement expert to know how to install a ceiling fan, Del Mar Fans & Lighting's videos and instructions can help you get started. Ceiling fans are the must-have home appliance for summer, but did you know that ceiling fans are also handy in the fall and winter? Changing the direction of your ceiling fan in the summer and winter not only makes you feel comfy, but it also allows you to adjust the thermostat and give your AC or heating unit a much needed break. "You did an excellent job with this order. From the moment you picked up the phone you understood my needs. Then executed and delivered the order all in a timely and professional manner." -Scott R.
Visit our education center to read and learn more about some of our products, DIY projects, crafts and much more!